If you asked Nora Lum as a teen what she wanted to be when she grew up, she could tell you exactly what she didn’t want to be: a sonogram technician, a meat inspector, an air traffic controller—all jobs her father considered stable, and encouraged her to pursue. Lum, better known as rapper Awkwafina, began her music education at 11 with the trumpet and went on to attend New York City’s famed LaGuardia High School (Nicki Minaj and Azealia Banks are also alumni). 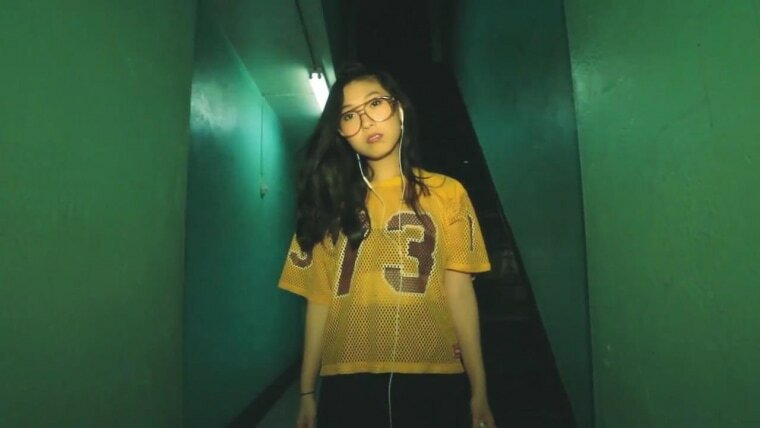 As Awkwafina, Lum set out to bring together her naturally-comedic personality with her rapping, producing viral songs like “My Vag,” “NYC Bitche$,” and “Giant Margaritas”—a song inspired by New York City’s ban on large sodas (“Mayor Mike Bloomberg help me understand / are giant margaritas also gonna get banned?”). But she isn’t interested in politics or becoming an activist, and is quicker to chat about show tunes and drop pop culture references (“Robert Goulet has not gotten back to me recently. I sent him, like, six faxes.”) than to proclaim her beliefs. Lum says her grandmother's sense of self influenced her as a child and inspires her today. “My grandma was very traditional, but she herself is a rebel of that culture,” Lum, a Chinese-Korean-American (“I’m what you would refer to as a Pan-Asian dish”) said. As the daughter in an immigrant family, Lum fought off being confined by any stereotypes or labels. The experience, she says, pushed her even harder to work hard for her dreams.